Rock crystal, or natural quartz is the perfect gift for the April born dazzling diamond in your life. 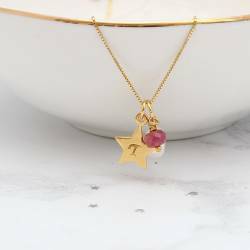 This faceted gemstone will twinkle in every light. It is luxurious addition to any charm bracelet whether born in the month of April or not. 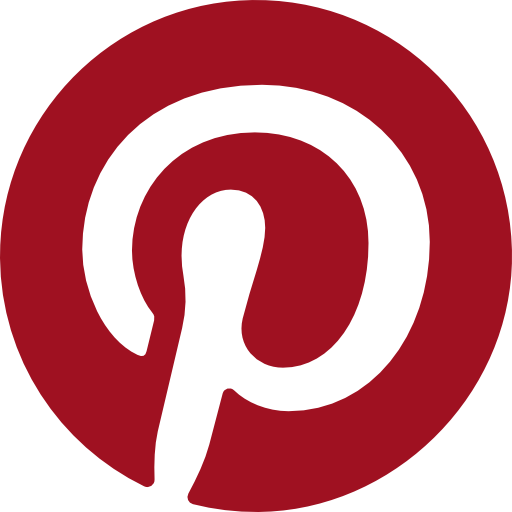 April There are 82 products. 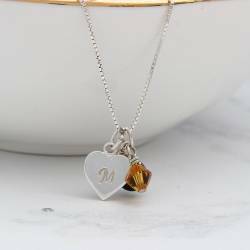 This Personalised Birthstone Swarovski Crystal Charm Necklace will add colour, character and just a hint of Swarovski’s signature sparkle to modern jewellery collections. The perfect birthday gift. 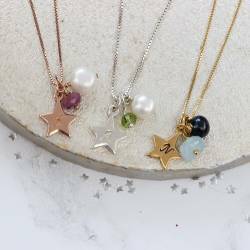 Beautiful birthday necklace set for her, this Birthstone Gemstone Necklace and Earrings Set is personalised with a disc charm. 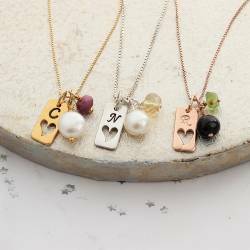 A thoughtful birthday gift for a best friend, Sister or daughter. 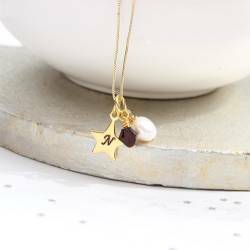 Dainty birthday necklace set for her, this Birthstone Gemstone Necklace and Earrings Set is personalised with a letter charm. 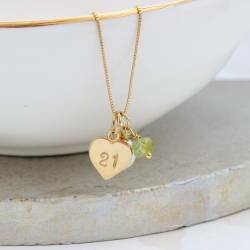 A keepsake birthday gift for a friend, sister or daughter. 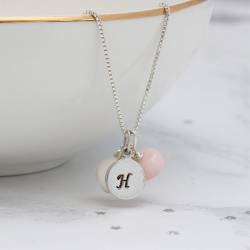 A Birthstone Gemstone Necklace and Earrings Set personalised with a Tag Charm, featuring her initial. 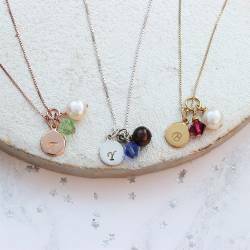 Inspiration for keepsake birthday gifts for someone special. 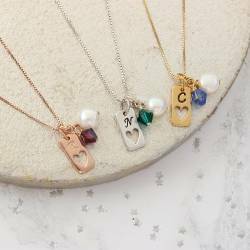 Combining handcrafted charms with genuine faceted gemstones and shimmering freshwater pearls, this Personalised Birthstone Charm Necklace is the perfect jewellery gift. 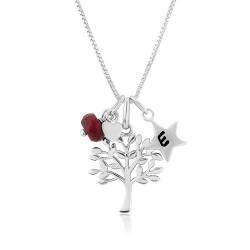 Revive your jewellery collection with the Birthstone Charm Necklace. 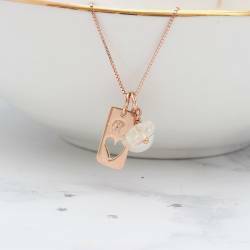 Beautifully embellished with a personalised heart charm and a cluster of gemstones, it will add natural radiance to any look. 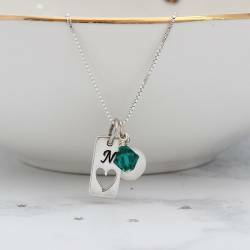 A childs personalised sterling silver, rose gold or gold charm necklace with an initial and birthstone swarovski crystal. 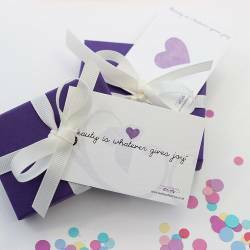 A pretty, dainty gift with a special personal touch. 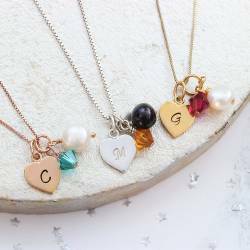 This mini sterling silver, rose gold or gold open heart pendant necklace can be personalised with letter charms and birthstone gemstones to celebrate the life of a child. 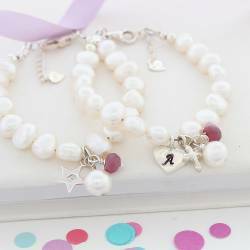 This beautiful white pearl bracelet is personalised with her initial on a sterling silver charm and a birthstone gemstone for a little girl. 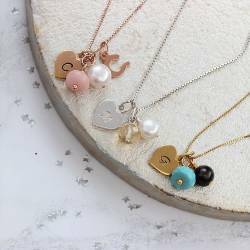 A gorgeous Christening gift. A very elegant and subtle faceted natural gemstone crystal quartz teardrop pendant necklace handmade with a cluster of white freshwater pearls on sterling silver. A beautiful gemstone bracelet with a silver zodiac charm. 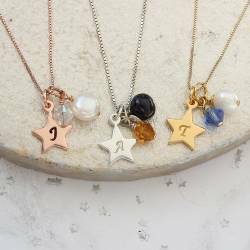 Gorgeous star sign jewellery that makes the perfect gift for a special person. 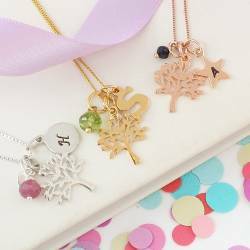 An ideal and beautiful jewellery gift for any special occasion. 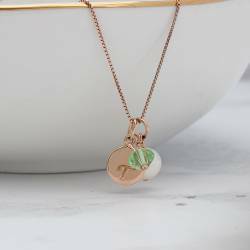 Utterly feminine and so eye-catching and easy to wear that you will want to wear this crystal, pearl and sterling silver necklace over and over again.